Does your holiday sweater have bells on it? Or maybe you opted for an embroidered cat wearing a Santa hat. Whatever it is, Great Plains Communications wants to see them in our 2015 Ugly Holiday Sweater Contest. 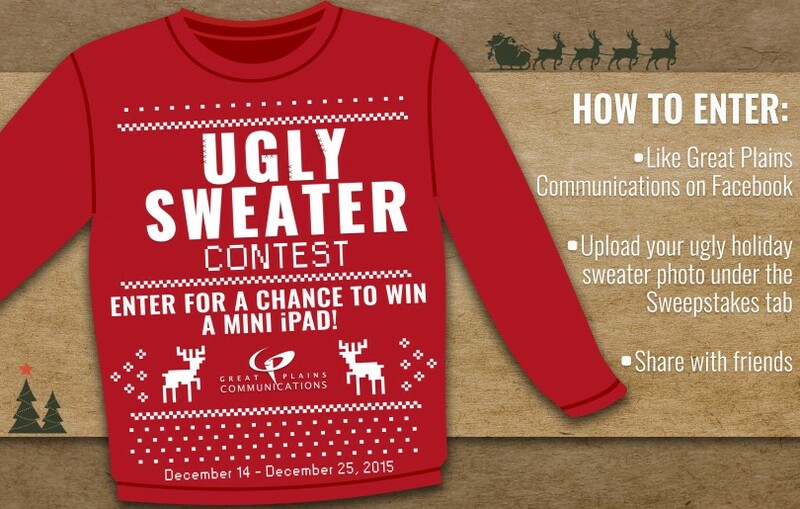 Upload a picture of yourself wearing an ugly holiday sweater and you will be entered in the contest. Two lucky winners will then be chosen at random and each receive an iPad Mini.